IonionSails is a family owned yacht charter company founded in 1995. that successfully combines traditional values with modern technology and innovation, always focused on meeting every clients needs. MMK Booking Manager System is a very useful tool for our daily administration. Necessary documents, such as booking confirmations, invoices and charter parties. The most efficient tool of the system is the real-time availability as also the real time discounts! Greek boat-ownership company IonionSails started operating 24 years ago and nowadays it is well known for excellent yacht charter services and new technologies in yachting. It is a family run business founded by Mr. Vangelis Efstathiou and six years ago, his son Gabriel Efstathiou joined the team. The fresh ideas of the new generation combined with well-stated values of providing high-quality services made IonionSails what it is today, an award-winning company that is coming up with new innovative features and constantly investing in renewing the fleet. Over the last 3 years, they have acquired 10 new yachts. Their fleet consists of a wide range of privately owned yachts ranging from 39 up to 56 feet from various shipyards such as Beneteau, Jeanneau, Bavaria, Lagoon, Bali, Fountain Pajot and Elan, and all yachts are maintained carefully at their own boatyard in Athens. As professional yacht owners, they have successfully served more than 15.000 satisfied clients since their launch. Over the years, they have developed some innovative features that are very useful for their clients such as E-Check In, Real Yacht Videos and Daily Weather Forecast & Sailing Tips through instant messaging. IonionSails is the first chartering company providing a unique E-Check-In system, as well as video feature that makes their own Real Videos portfolio in order to offer their clients a chance to learn all the features/specifications of the yachts in advance. Moreover, filming the yachts every year shows the scheduled refits and re-builts that take place every 2 or 4 years. Since customer support has always been their first priority, which reflects in excellent reviews, they also provide 24/7 assistance through 10 help stations around Ionian islands as well as daily Weather Forecast and Sailing tips through instant messaging. Following their ideas of innovation and researching the yacht charter market, IonionSails was one of the first medium sized, family-owned companies in Lefkas that understood the importance of offering real-time availability of their fleet. 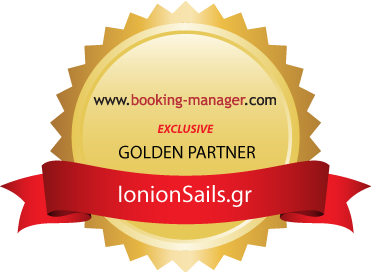 In that highly competitive environment, where client’s needs must be met right on time, IonionSails has chosen the leader on the market, MMK, as their exclusive booking system. Through Booking Manager, they keep their discounts and availability updated 24/7. Also, IonionSails are able to use features that facilitate daily administration and reporting as well. Local Booking Manager application generates several useful reports such as Agency financial performance that helps them with monitoring booking performance of agents or direct clients, Yacht financial performance that shows fleets financial performance, embarkment list which helps keeping track of who is disembarking or embarking on particular day, and many others.